in support for your premium radio station. get this request out as quick as you can. apps or listening via them and what browser you are using when you got this issue. directly to our support register and team. language as possible so it is easy to understand. 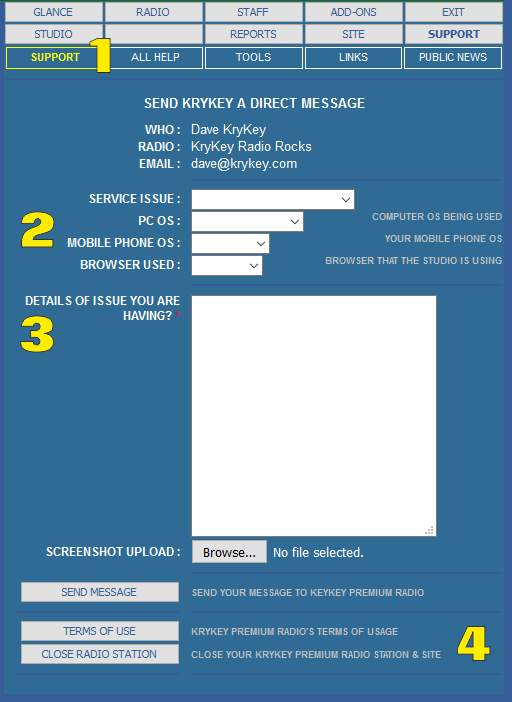 CLOSE RADIO STATION is just for that, closing your premium radio station and web site.